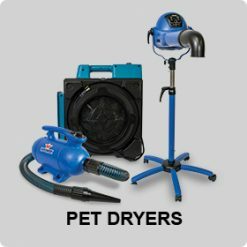 Air Chaser offers a sophisticated line of drying fans, air scrubbers, pet dryers, inflatable blowers,air circulators, and revolutionary LGR dehumidifiers to assist professionals and homeowners in water damage restoration, disaster restoration projects, pet grooming, advertising inflatables, and cleaning and maintenance. As one of the most trusted sources of the top brand in professional grade air blowers, AirChaser is your one-stop shop for the most effective equipment for your project. AirChaser is your go-to supplier for professional pet dryers, air scrubbers, air movers and LGR dehumidifiers. As the master distributor of XPOWER, we offer the complete line of products. We offer 30-day satisfaction gaurantee to ensure the top notch customer services. Also, we are the only XPOWER’s part & accessories center online. Whether you are a restorers, a pet groomers, a constractor, or an homeowner who is looking for some DIY home impovement equipment you can count on, we are your guy. We offer professional grade equipment with innovative design and powerful injection molding technology that is durable, lightweight, and cost-effective. Selecting the right equipment and sysytem can complete your job faster and with the best results. 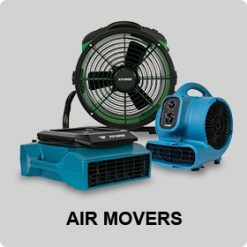 Our line of XPOWER centrifugal air movers, axial air movers, air scrubbers and dehumidifiers help you find the equipment for your specific needs. XPOWER dryer, air scrubbers, and dehumidifiers units are equipped with various features like speed settings, timer, rack and handle, multiple angle positions, and built-in output to help you determine which commercial grade equipment will be ideal for your large or small-scale project. Every XPOWER restoration equipment, pet grooming dryers, hospitality maintenance dryers, and inflatable blowers are designed to be lightweight, durable, and extremely powerfyl. Units are manufactured with polypropylene (PP) or ABS technology. All equipment is designed to deliver great results and efficiency.